The controversial Bitcoin software update was suspended in early November, with this email coming from the project’s (now former) team just prior to its anticipated launch on November 16. The Bitcoin community remained quite divided on the proposed update, and so the team sensibly decided to shelve the project, allowing for much-needed discourse to continue. Upon the project’s return, the new team emphasised a desire to co-exist with the classic Bitcoin (BTC) as opposed to setting out to replace it altogether; a misconception held by many. Bitcoin SegWit2x, in reviving itself, will concurrently improve the entire Bitcoin network, according to the project’s press release. The B2X team provided an updated list of their already implemented features, which includes the enactment of the Segregated Witness (SegWit) upgrade, a block size increase to as much as 4MB (up from 1MB for BTC), a reduced block time to 2.5 minutes (down from 10 minutes for BTC), the adoption of the X11 hashing algorithm, as well as other things. Further, a roadmap has been created by the new team which details future developmental plans for SegWit2x such as offline codes, Lightning Network compatibility, anonymous contracts, and more. Futures of B2X have been tradable since October 20, trading on exchanges such as HitBTC, Exrates, and YoBIT, as well as with wallets such as Zumminer, Webmoney, and Freewallet. A week after announcing the restored version of SegWit2x, the price of B2X futures have risen by over 5 times – according to CoinMarketCap. The B2X coin itself will be available from as early as January 15, 2018, as stated on their site. The back half of 2017 has seen forks emerge at the forefront of discussion amongst the cryptocurrency community, making the concept of Bitcoin and the like even more confusing for laypeople. 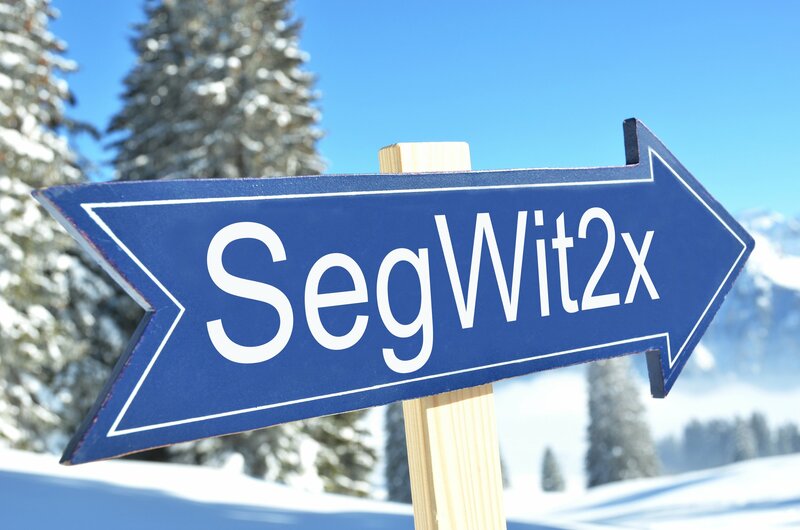 SegWit2x is set to mark the seventh time that Bitcoin has forked since Bitcoin Cash (BCH) launched in August, followed by Bitcoin Gold (BTG) and Bitcoin Diamond (BCD) in November, and Super Bitcoin (SBTC), Lightning Bitcoin (LBTC), and Bitcoin God (GOD) in December.